Welcome to the Harborne Dental Practice Blog. We're a private and NHS practice in Harborne, Birmingham. We have 3 dentists, a hygienist and an orthodontist all working hard to give you the smile you've always dreamed of. We'll keep you updated with news and events, and offers that we currently have. Check out our website, www.harbornedental.co.uk for more information on our practice and proceedures. If you wish to receive blog updates via email, please enter your address in the box below. For those people who don't get on with regular interdental aids. Hopefully all your trips to our dentists and hygienist will have taught you the importance of flossing. Without using interdental aids (which means inbetween the teeth), you're actually missing out on cleaning 40% of your tooth surfaces. Infact, not flossing is even worse than not brushing your teeth. Your saliva and tongue get rid of most things that are hanging around in your mouth, but the only way to clean inbetween your teeth is to use an interdental aid. We advise most patients to use either floss or Tepe Brushes to clean interdentally, as they are quite easy to use, readily available on the market, and do a great job. However, we know some people struggle to reach certain areas in their mouths, especially right at the back. This is where the Sonicare Airfloss comes into play. This fantastic little device uses microburst technology that applies a quick burst of pressurised air and micro-water droplets to clean deep between teeth where a toothbrush can't reach. You can affectively floss your whole mouth in 30 seconds. It's important to get rid of debris between your teeth as this is what leads to gum disease, bone loss and eventually, tooth loss. Poor gum health can also lead to infections and can be very painful. 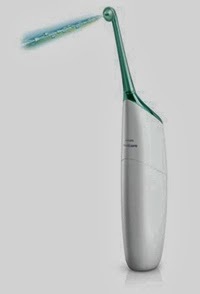 The Philips Sonicare brand is a leader in oral health care, and is backed by more than 140 publications and abstracts representing clinical and laboratory studies conducted at more than 40 universities and research institutes worldwide. Their electric toothbrushes are proven to promote and improve oral health, from reducing plaque build-up to improving overall gum health. They have also demonstrated the ability to increase patient compliance to oral health and hygiene regimens between dental visits. Over 22 million users worldwide testify to the great experience of using Philips Sonicare toothbrushes. 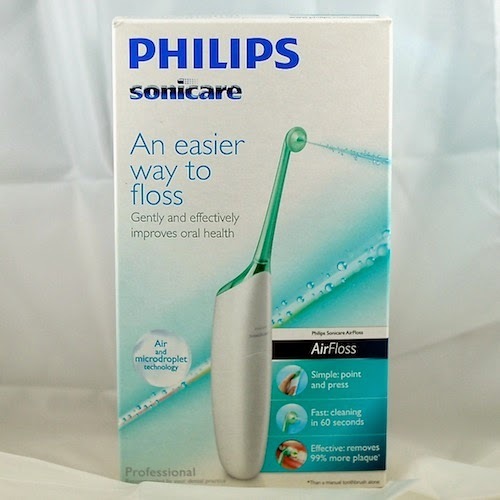 Philips Sonicare is recommended by dental professionals worldwide. Here at Harborne Dental Practice, we want dentistry to be affordable for everyone. That's why, in partnership with Practice Plan, we offer all our patients the chance to join our Membership Plans. 2 regular hygiene appointments to provide a scale and polish, periodontal advice, and preventive techniques to reduce decay and gum disease. If you are interested in joining our Practice Membership Plan for just £16.00 a month, please call the practice and speak to one of our team members. It's simple! The table below shows how much money you would save being a member of our Practice. If you're interested or have any questions, please call one of our friendly team on 0121 420 2323 to discuss joining us! We were recently featured in the Birmingham Post in the Healthcare Suppliment. If you missed it, here is Part 1 of the article. Firstly, we would like to take this opportunity to thank all our loyal patients for bearing with us through the recent upheaval during the refurbishment of the practice. It has been eighteen months in its progression and although the major aesthetic changes such as new seating, modernised decor and flooring is now complete, the individual surgery room refurbishment is still ongoing at present. We have installed new digital x-ray units in each surgery as well as a fully digital full mouth scan x ray machine. We are very proud of the recent changes we have made to the decor and branding of the practice. We hope you like the changes as much as we do and if you haven’t seen the new decor, please feel free to pop in or look at the photographs on our website www.harbornedental.co.uk. We are now honoured to be one of the few Dental surgeries in Birmingham to become an Enlighten Tooth Whitening Accredited Dental Practice. This is a fantastic, non sensitive whitening treatment which produces exemplary results. We are proud to be able to offer this premium whitening system to all our patients. For more information on this treatment feel free to contact Sharon or Kate, our receptionists, who will be more than happy to help and book the relevant appointments. The practice has remained busy this summer with lots of enquiries and booking with regards to Implants with Kirsty and Chris working alongside each other to produce a very successful team in Implant Placement and Smile Makeovers. Antonia Burgess, our Orthodontist is proving very popular and busy providing all types of brace work including the latest celebrity accessory of invisible braces. Traci O’Shaughnessy, our Hygienist has become so popular that she has now joined us for an extra day. We are fully aware that word of mouth is the best and most flattering form of referral, and we would like to give our loyal patients a reward for referring any family and friends to us, who are not currently patients of our practice. This will be provided by means of a voucher system. The voucher attached below can be given to anyone who is not currently a patient with us and it will entitle them to 10% off any private treatment (excluding examinations and implants). In return for your referral, the voucher will be entered into a monthly prize draw and you could win a prize. If you wish to use more than one voucher, more can be obtained at reception. We are now an Enlighten Tooth Whitening﻿ Accredited Practice! We are proud to announce that as of Monday the 30th April, we became an Enlighten Tooth Whitneing accredited practice, and are now able to offer this exciting new way of bleaching your teeth. With a guarenteed shade of Vita B1 (which is the whitest shade that our Vita shade guide goes), you can look forward to having an amazing smile. 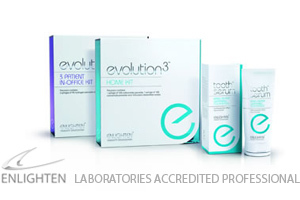 Enlighten is different to most other whitening systems as it can dramatically whiten even the darkest of teeth. This whitening system works a bit differently to our other whitening system Zoom! (which is still available by the way!). Basically the Enlighten is a mixture of both at home bleaching and in surgery bleaching. It's gentle on your teeth because it's done over a matter of weeks so it's ideal if you suffer from sensitivity. You attend here at the practice for the first 20 minute appointment. During this time, your dental practicitoner will take alginate impressions of your teeth so that we can send off to have your customised bleaching trays made. They take 2 weeks to be made, during which time we provide you with some special tooth serum that will replace your normal toothpaste for 2 weeks. This is the first stage. After the two weeks have passed, you attend for another 20 minute appointment with your dental practictioner, who will show you how to wear your new bleaching trays, and apply some de - sensitiser to your teeth. You then go home and for 2 weeks you wear your new trays over your teeth every night so that the bleach can start to whiten your teeth. We will give you full instructions on how to care for your trays and use the bleaching gel. On the 15th day, you attend the practice again for the final stage. You will spend 40 minutes with us while we use a much more powerful bleach on your teeth to get them up to Vita shade B1. This is known as the deep bleach stage, and the final stage of your initial treatment. Your teeth could be at least 15 shades lighter! We will always start treatment by checking your current tooth shade so that we can compare to the end result. We would like to take this opportunity to wish all our patients a very Merry Christmas and a very happy 2012. The practice will close for Christmas between Friday 23rd December to Tuesday 3rd January 2012. We're a Private and NHS Dental Practice in Harborne, Birmingham, UK. Our philosophy is to offer a comprehensive range of dental care in a relaxed and friendly environment. We combine years of professional experience and our aim is to make your patient journey a pleasant experience and one which you will want to share with others.